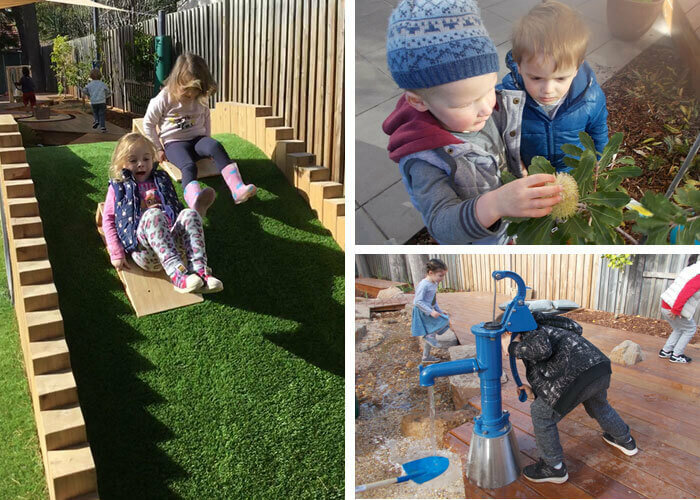 Located in the family friendly suburb of Brighton East sits the warm and welcoming Fox Kids Early Learning Centre. The friendly team of educators are passionate about early childhood education and have developed excellent relationships with the families at the centre. 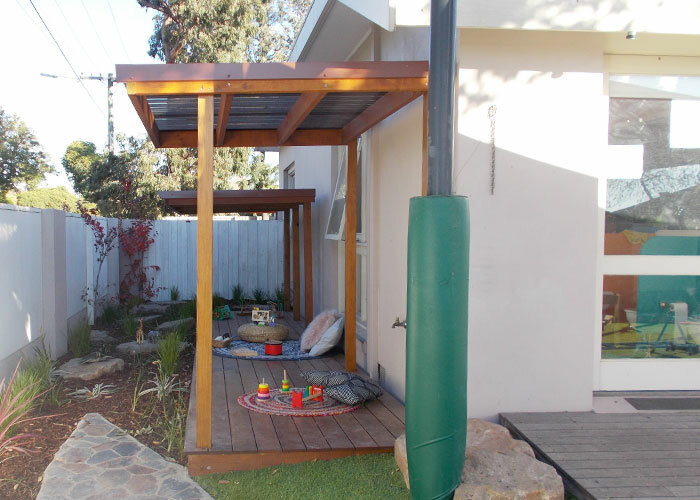 Recently the Fox Kids’ outdoor environments have had a revamp, much to the joy of everyone at the centre. The space itself is a huge improvement to the previous outdoor environment. 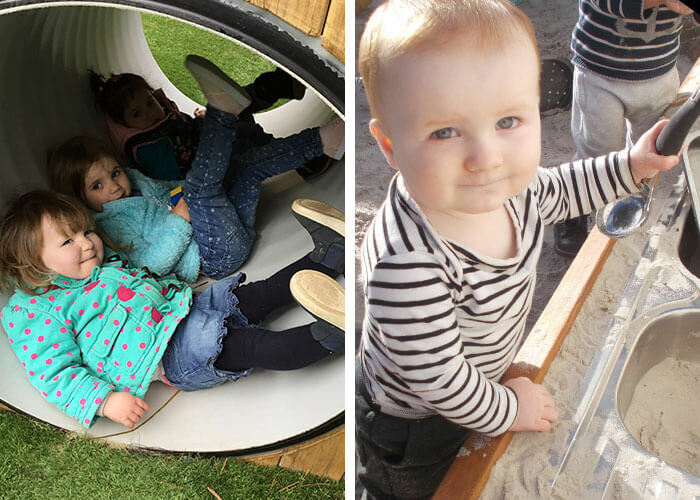 Natural features take the place of black soft fall flooring and plastic materials, and new features include rocks, a water feature for water play, real trees, wooden decking, stepping stones and mud kitchen for sensory play. In both yards, the sandpit kitchens have been a huge hit with the children using kitchenware sourced from op shops to enhance dramatic play. The older children have been using mathematical concepts by counting the stepping stones and measuring themselves against the new trees. 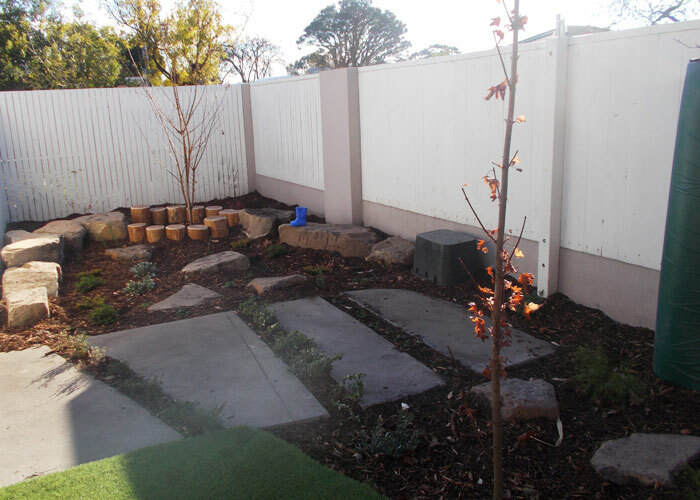 “The younger children in particular have been loving exploring the garden beds, walking over the stepping stones and climbing onto the larger rocks in the yard. The educators have been adding animals/dinosaurs to the areas and the Koalas love playing with them amongst the bark, rocks and plants,” says Assistant Manager Shannon Benton. Centre Manager Yvonne Hart adds, “The nursery yard has been a hive of activity. The babies have loved crawling around the space exploring the different surfaces and textures,” which include grass, bark, leaves, sand and tiled surfaces. The big grassy hill has been busy with lots of running, crawling and tumbling down. The tunnel underneath has been a great hiding place during hide and seek games. In warmer weather the decking can be used for naps and on wet days the newly purchased wet weather clothes allow the crawlers to explore, even in the rain. Overall, the children have been loving exploring the new space in general and has opened up a multitude of learning opportunities for the children at the centre. To explore the brand new yards for yourself and to meet the team of wonderful educators including Centre Manager Yvonne Hart, head here to book yourself in for a tour.